Radioactive Smoke Detector Disposal | Smoke Alarm Recycling | ADCO Services, Inc.
Radioactive smoke detector / alarm disposal services are offered by ADCO Services. Do you have smoke detectors, fire alarms, or fire pull switches containing radioactive material that you are wondering how to dispose of properly? ADCO Services’ full-service radioactive smoke detector disposal service offers an easy solution to your smoke detector disposal needs where your detectors will be recycled in an environmentally safe and legal manner. 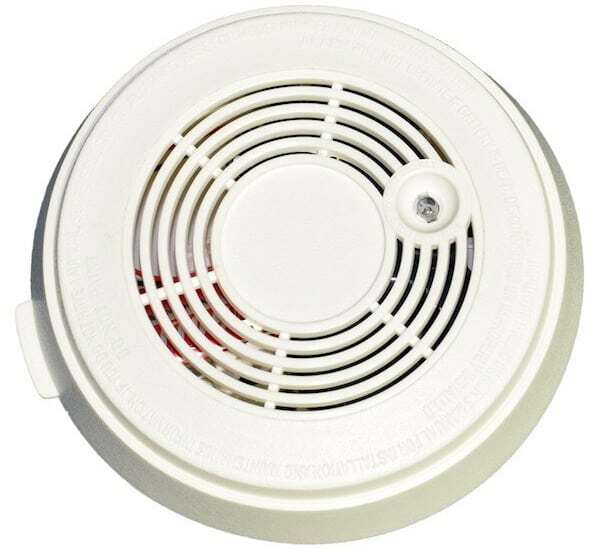 Typically, smoke detectors contain Americium 241 (AM-241) or Radium 226 (RA-226) which is a radioactive element inside the smoke detector that is used to make the smoke detector function. 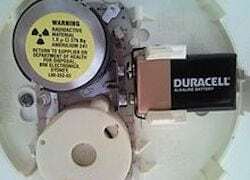 This radioactive material inside the smoke detector means the smoke detector should never be thrown in the regular trash and should be recycled with a company such as ADCO Services where your smoke detector will be dismantled and the radioactive source inside the unit will be extracted and reclaimed in an environmentally friendly manner by one of our fully trained technicians. ADCO Services makes it easy for homeowners, household hazardous waste collection facilities, commercial and government type entities, or any property owner for that matter to properly dispose of their radioactive smoke detectors / alarms which may contain Americium or Radium by sending them for recycling under ADCO Services’ radioactive smoke / fire alarm disposal service program. Our radioactive smoke detector disposal program also includes self-luminous fire pull switches which typically contain Tritium (H3). If you have any questions regarding our radioactive smoke detector disposal services or if you would like to discuss your needs with a waste removal expert, we invite you to contact us at 877-254-2326 or 708-429-1660 today. Radioactive Smoke Detector Disposal and Recycling Services are offered by ADCO. Am-241 and Ra-226 smoke detectors can be recycled in an environmentally safe and friendly manner with ADCO. Let our staff of experts take responsibility of disposing of your radioactive smoke detectors.